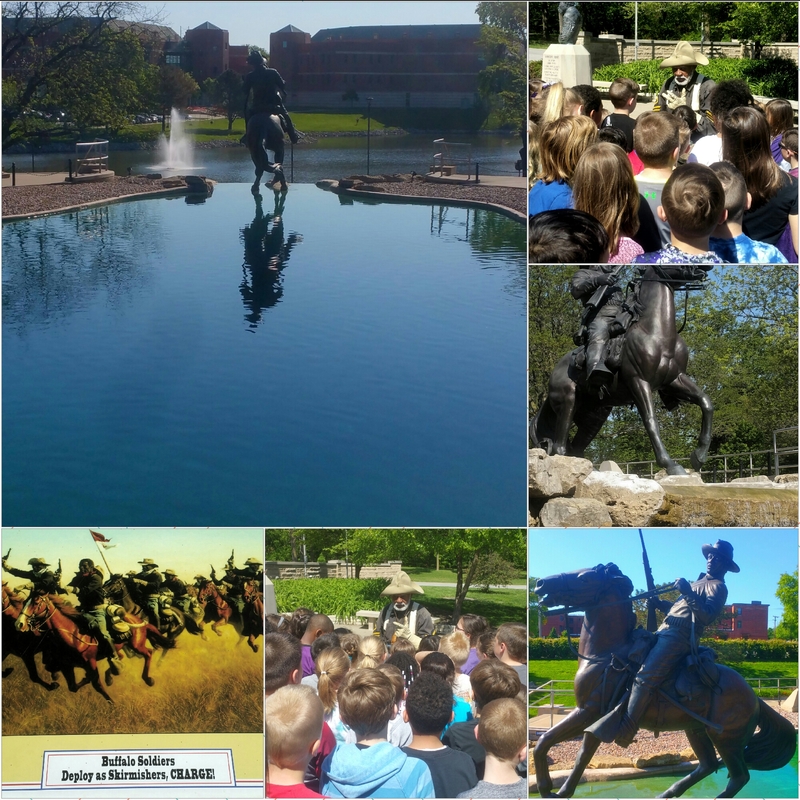 Piper Elementary third grade learn about Buffalo Soldiers. The Buffalo Soldiers of the Alexander-MadisonChapter of Kansas City Area 9th & 10th (Horse) Calvary Association want to thank all the wonderful little troopers we escorted around the National Buffalo Soldier Monument and Circle of Firsts today. Never forget what you learned about this part of your American history and have the best summer vacation ever!